You Already Know How to Write an Ebook ... So What's Stopping You? There are plenty of great reasons to write an ebook. A short, free ebook could be precisely the cookie you need in order for your email list to grow beyond a handful of members. A big, paid-for ebook could be an important part of your revenue stream — and the first product in your sales funnel. Being able to say, “I’m an author.” could give your credibility a massive boost. Maybe you think you don’t know how. Sure, you’re comfortable with writing blog posts, but an ebook is a totally different animal. Think of your ebook as a series of blog posts. When you look at it that way, your ebook suddenly seems less … daunting. You already know how to write an ebook. Everything you’ve learned from blogging still applies. Just think of your ebook as a series, and each post as a chapter within that series. Your chapters can be concise and information-packed — just like your blog posts. You don’t need to waffle on and on to fill the pages. After all, what would your readers prefer: straight-up information or a ton of padding? If you’ve been blogging for a while, you could repurpose some of your existing content for the ebook. For lots more on this, see Carol Tice’s excellent post, 12 Ways to Turn Your Old, Dusty Blog Archive into Cold, Hard Cash. Some bloggers seem to ignore formatting completely when it comes to ebooks. They’ll produce dull, grey documents densely packed with text … and they’ll wonder why no-one’s interested. Add images to grab attention, break up the text and show concepts that are hard to describe in words. You know how to write regularly. You know how to make your style engaging. You know how to use formatting to hold the reader’s attention. So let me ask you again: what’s stopping you from writing your ebook? About the Author: Ali Luke is a blogger, writer and writing coach. She’s just released a brand new ebook in her popular Blogger’s Guide series: The Blogger’s Guide to Irresistible Ebooks. If you’d like to write an ebook that your readers can’t wait to snap up, click here and check it out today. Using a free ebook as a cookie is definitely a good way to entice readers to join your newsletter. However, with so many blogs using this tactic, it may not be as enticing. So, I’ve noticed some bloggers…not all of them offer two free products to entice readers to sign up. I’m in the process of doing this myself and I’m hoping the results will show. Repurposing content from blog posts work as well. Darren Rowse of ProBlogger has done it before and it showed to work really well. Even though some may find writing an ebook to be intimidating, the true test is to just go ahead and do it. You’ll never know how well you did until you give it a go! Thanks Frank! I agree that a single free ebook isn’t as enticing as it once was — though it’s still a great start! Thanks for the great post! I did just publish an eBook yesterday!! It was a great experience writing it and your advice is wonderful! I hope it ok to post the link to it. Here is the link to my eBook. This 113-page Aromatherapy Recipes eBook offers everything a beginner needs to get started with simple aromatherapy for your health and home. The eBook includes over 60 easy recipes to help you create natural, safe and environmentally-friendly products for beauty and skin care, your health, travel, emotional wellness and for cleaning. Very true! Sometimes I catch myself thinking that since I’ve already covered a topic once on my blog, I shouldn’t cover it again – whether in another post or in a separate product. But really, I’m probably the only person who’s read every single post on my site, so repurposing content is probably actually helping my readers by bringing up relevant content that they might have missed the first time around. Awesome tips! I’ve thought about writing an eBook for some time now, and I still think it’s a great idea to seriously consider. How does one go about publishing their content into an eBook that eReader users can find? You can use Kindle Direct Publishing (KDP) on Amazon to publish your ebook for Kindle. You can also use a site called Smashwords to distribute your ebook to a number of retailers — though you don’t have so much control over the formatting there. Ali, everything you mention is process. What stops many from writing anything (from a short ebook to one that’s full-length) lies within the person. The obstacles can be emotional (some form of fear — maybe of getting shouted down or slammed with negative feedback; I swear people are meaner on the Internet (think one-star Amazon reviews) than they ever would be to a person’s face); mental (folks “know” things at different levels: it’s one thing to know how to do something technically, quite another to know that YOU can); and behavioral (the big impediment still being not knowing how to manage oneself, rather than blaming “time” which is usually cited as the culprit). Of all these “what’s stopping you?” issues, the one I see over and over among aspiring authors (and I remember thinking this when reading a recent Copyblogger piece about Eugene Schwartz’s method of writing copy some weeks ago) is second-guessing oneself. Again, it’s not a case of not knowing WHAT to do, it’s about the inner confidence to shut down that little voice– perhaps one’s fifth grade teacher — that questions whether you know what you’re talking about, whether anyone will want to listen to what you have to say, and that only experts write — so who the heck do you think you are? Fantastic points, Liz — there are SO many obstacles when it comes to writing. Having confidence is an issue for pretty much every writer and aspiring writer, I think; it can be very daunting to put your words down and to set them loose into the world, and I know I’m very familiar with that little inner voice…! @Liz! Your comment is so on point. That’s what I’d have written if I were able to do so. Oh, DANG, there’s that insecurity rearing its ugly head! @Ali, I really appreciate all of your perspectives, suggestions and resources. I was just considering an e-book that would include some case studies and useful information for a niche market with which I’m familiar, that might help me to open the door to assist. Thank you! I’m encouraged. Gotta go kick out an outline…. I have heard advice to self publish a booklet instead of an ebook. The person giving this advice felt ebooks were too easy to pass on to others and/or copy for distribution. What are your thoughts about this? My concern is with the number of pages. As in, how many pages equal quality? Especially when asking for money. Also, are we talking about creating a published ebook (ISBN, graphic artist, Smashwords, etc) or an appealing pdf document? As you can tell, in my mind, one project could be more in detailed than the other. Any advice would be appreciated. I’d say number of pages does not equate to quality, and a pdf doesn’t decrease quality. As long as you solve a customer’s problem, you have your quality. And try this. Give yourself an hourly wage, go to Google and time how long it takes you to find the information that you provide in your book. Multiply your hourly rate with how many hours you used. That should be a good starting point for your book price (and one hell of a selling point in your sales pitch too—a pitch I rarely see anybody using). Thank you, Shane ~ That’s exactly the information I needed! Also, I’ve never heard of using such a technique for pricing. So the people that spend months writing their books should charge like $1,000 per book? An hourly wage is NOT a good way to price a book in my opinion. @Gregory: In my example, you’re asking your clients how much their time is worth, and comparing the time value of money to the “bargain price” of your product (and the overall benefit of your product to their bottom lines). If you polled people and asked them if $47 was too much for an ebook, many might say yes until you mention this comparison. So, I’m saying at minimum, charge someone the value of their time in finding similar material. And yes, If you’re a specialist like James Chartrand, you can charge $1500 for a product that will bring in thousands to those who purchased. In your example, if a person spent months working on their book and it didn’t bring $1,000 in value, they’d be better off looking for the average price for a similar product in their niche. My three cents. @Gregory: I think Shane means that you’d charge the hourly wage that it’d take to FIND all the information, not to WRITE it. Shane, correct me if I’m wrong! @Sabrina: If you’re writing a graphic-heavy book, PDF is (currently) a good format for ensuring that everything stays looking good! I’ve worked with .epub and .mobi (and Amazon Kindle too) which are perfect for novels or more traditional non-fiction books. Ultimately, the important thing is what your audience will want most. If the majority of them don’t have ereaders, go with PDF — it can be read on any computer (and also on many ereaders — my Kindle handles PDFs pretty well). This question came up recently over on LinkedIn. The answer I gave there was to not forget about print and use that as a guide. When ebooks started, they were mainly in the realm of internet marketing. I remember people calling a 10 page document an ebook. I’ve always disagreed with that. In the print world, a handful of pages is a report or maybe a white paper or even a booklet. There are standard expectations. Picture books are generally the shortest type and they are 32, but that’s an accepted norm. Just because the vehicle delivery changes, digital instead of paper, I don’t think it’s right to try to redefine what constitutes a book. Even if it’s 10 pages of the most valuable info you’d ever find on a subject, it’s not a book to me. Also, now that ebooks are mainstream it makes even more sense to me to keep things in line. Someone buying a novel on Kindle knows they are not buying a short story. They expect a novel. I think the same should hold true whether it’s fiction or a how to. So when call you call it a book? My opinion is that 30 pages is the lowest you’d want to go. I often say “mini-ebook” (and I’ve seen “ebooklet”) for an ebook under 30 or so pages. In most cases, I’d expect a paid-for ebook to be at least 80 pages. It’s a tricky one, because print books have to be reasonably long in order to be economically viable — that’s why the novella is resurging in ebook format. There are short stories available on Kindle, though they’re generally clearly marketed as such. I think that it’s useful for ebook authors to put a page count (or even a rough word count) on their sales pages. Ultimately, though, a short, to-the-point ebook can be worth more than a long, padded-out one … ebooks cost time, as well as money, to read! I need the extra motivation myself. I am working on a training manual which I would like to turn in to an e-book to get folks to sign up for my email newsletter. Seems like I should get to doing that. Thanks for the pep talk. Thanks for helping to light a fire under my tush. I need to do it…and you’ve given me some good points to consider. Now I must roll up my sleeves and get started! I’m currently in the process of turning a blog series into a free e-book for my readers & the contributors of the series & I’m writing one to sell on my site. My biggest stress at the moment is the cover! They need to be eye-catching & professional, but I don’t want to break the bank on them either. I have to hire it out because I don’t have any of the software needed to do it myself! Uhhh! If you go to the Smashwords site, I believe you can request a list of their “suggested” graphic artists. It’s contained in a list they reference as “Mark’s List” – http://www.smashwords.com/about/how_to_publish_on_smashwords. I’ve used Charfish Design for my ebook covers, and Charlie there has done a great job for me. I’ve also used my college-student sister…! She’s got a great eye for design (and spends the extra cash on shoes ;-)) — so it might be worth looking for anyone young in your own network who’s willing to do some work for you at a lowish rate, especially if they’re looking to build up their portfolio. Brilliant thanks Ali I have bought your book and intend to start on mine tomorrow. Thank you for the useful templates too. Setting it up was always the bit I worried about and now I dont need to worry anymore. Yay, thanks for buying my ebook! 🙂 Good luck writing yours, and hope the templates help out … I added them as a bit of an afterthought, but they’ve proved really popular. -> Cut down the “What is this place?” text in the sidebar — use it for an “About” page. It’s currently so small that it’s hard to read, and it pushes everything else a long way down the sidebar. -> Consider increasing up the font size for everything, especially the navigation. People will probably stick around longer (Daily Blog Tips had a great post on this a while back). -> In the email sign-up, explain that people get free ebooks — and let them know what to expect in addition (e.g. “weekly emails” or “monthly newsletters” or something). And tiny thing, but you’re missing an apostrophe in “Diva’s” in that sign-up box. Such a timely post for me. On track with your point about re-purposing blog content, check out Jenny Shih’s Idea Juicer Kit: http://jennyshih.com/idea-juicer-kit — Jenny provides great insight in making your content work for you. Thanks for the great insight Ali! I have been thinking of getting down to write a comprehensive ebook, but actually didn’t know how to go about it, and your timely post cleared up the clouds! -Any old- free ebook is not worth what it used to be these days. That just means that you have to really “wow!” with your free content. Making sure it is tight and actionable, not full of fluff and links. That being said, if someone has enough to blog about regulary, they surely have enough info to write a solid ebook full of real actionable tips. One thing I would like to point out that is different about writing an ebook is the need for editing. Most of us probably proof our own posts and it’s a little easier to do with short items (and we all miss things from time to time). A book length project is a different story. I highly recommend having either a highly skilled friend or associate to do a formal edit, or hiring a professional. Another thing that happened years ago was people seemed to think that digital products didn’t have to be the same quality as print and some of the products were abysmal. Again, now that digital is mainstream, people expect the quality of a product reflects the quality of the business as a whole. Proper editing is one way to ensure the impression your ebook makes is a good one. I think that is a great point. Not everyone has the resources to hire a pro, but if you can, it really adds a level of polish (and often structure) that makes the end product much more valuable. I’ve been able to rope in some awesome blogger-friends to “beta-read” my ebooks for me … it’s not just about spotting typos and spelling mistakes, it’s also about making sure that the structure works and that information is presented in the right order for the reader. Even if asking someone to read the whole ebook is a bit much, you can split it into sections and ask people if they’d be willing to read and critique just one — and, obviously, offer to return the favour! How would you define an Ebook? I see a lot of people promoting things they call Ebooks on their website but they are nowhere close to book length. In fact, I just downloaded one today. It was 8 pages long and it was well-written and informative. It was clearly promoted as an Ebook, but I would have called it a guide or possibly a white paper. A short discussion is already going on a little up the stream on this topic. I agree with you, 8 pages is a report not a book. Oops! I thought I read all the comments but somehow missed that one. The minimum of 30 pages seems like a good guideline. I’m happy with the term “ebook” for short works (though I’d agree that 8 pages is really a bit too tiny!) I usually try to give page counts, or I say “mini-ebook” if it’s very short. Thanks Ali. I have a couple of writing-related ebooks on my site, and you just gave me an idea for another. It does take a few shovelfuls more effort to prettify ebooks (with nice font selection, white space and graphics), but the results are so distinctly better that it’s worth it. I’ve still got a ways to go to get it down. Hey, you were just on Men With Pens too—how are you even finding time to write ebooks, gallivanting all over the Interwebz as you do? And I allow time for guest posting as part of ebook-writing, too; it’s one of my promotion strategies, and it’s also something I really enjoy doing! I have been working on my first eBook for around two months now and these ideas are going to boost my progress a ton, THANK YOU! On another note, does anyone know of a good (free) PDF creator for me to use when I eventually put it all together? (I use Mac Snow Leopard). OpenOffice/LibreOffice can export to PDF. Section headings become your PDF’s table of contents. I use PDF 995 I believe it’s called. It was free when I downloaded it a few years ago. Pages also has a “save to PDF” function. Lovely read Ali, Do you have any recommendations or references that I can use to see how a biography is written. I need help writing one and have no clue about it. Sorry, Eddie, thought I’d replied to this one! I’d recommend looking in a similar book in your field, to see how they do it, and base yours on that. Don’t get too hung up on making it perfect (unless you’re writing for academic purposes) — the key thing is to be clear and consistent in how you list the items in the bibliography. Gosh. The biggest problem for me is about how to get the confidence in producing my own E-Book. Looks like I have to do some researches and get the clue to enable my hands for it. My biggest roadblock is the actual process of hosting this on my site, and once the customer pays, to have it automatically delivered to them. I’m sure there’s an easy way, so if someone knows, please share. You could do it with MailChimp and paid subscriptions. Set it to a one-time fee, attach the book to an email, and use the list for book updates/new products. And the biggest mistake is people don’t take an action even they are capable of writing an eBook. Anyway Great information my friend. One thing I like to do to get started is write a blog series and set the scheduled post date a month in the future. I’m already comfortable writing blog posts, so it helps get past that initial sticking point. When I do the ebook I’ll take the posts off the schedule. But if I don’t end up doing the ebook I’ve already got all those posts in place. Hi, Mike – I don’t understand. Are you saying that you’ll use the posts that you’ve scheduled a month ahead as your ebook? I am meaning to write an ebook but time is scarce. If I do find the time, the layout I have in mind is simple and clean. Similar to Zen Habit’s ebooks. 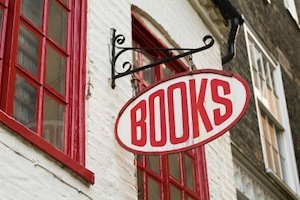 Do you have any tips on how online retailers can use ebooks to promote their business? It depends a lot on what you sell and who you sell to. Think about what your buyers want to know more about. If it’s fashion, they may want tips on dressing for their body type. If it’s housewares, then decorating advice or how to get more storage space. What problems does your customer want to solve? Lace, What kind of products do you sell? That will help us narrow & focus some ideas for you. We must have posted at about the same time 🙂 Didn’t mean to repeat. What an encouraging post Ali. I am very new to blogging (my blog isn’t really live yet – only one post with the rest still in my head!! ), and I really didn’t see an ebook in my future, but this post is making me think differently. It may not be in my immediate future but it is something I could tackle down the road!! Thank you!! I really agree with this statement “Your writing style can stay friendly, informal and engaging.”, because if we use our own style, then it will minimize the possibility of a writer who plagiaris. And write your own ebook with a delivery style would be more attractive and has a strong characteristic. I’m not quite sure how style fits in here — are you talking about accidental plagiarism? When you’re researching, you should really be using lots of different sources and writing everything from scratch in your own words, so there shouldn’t be any chance of plagiarism, however dry your style! sorry for my bad english ali. No, not at all … I just wanted to make sure we were on the save wavelength. Thanks. Great post and ideas. You’ve got my grey matter percolating. Oh and it smells like coffee. Yes! Does your brain naturally make caffeine for you to operate on? That would be nice. In fact some of the posts were submitted by readers. I did find ebooks to be a great source for people to download but if you are trying to sell one I found it that if you transcribe that ebook into a MP4 for people to download and listen on their mp3 players you could get an increase in purchases. It still takes a lot of work for ebooks to sell as their not as common but a great way to build a solid list. Ali – What if you aren’t sure which they’d prefer? Would you suggest offering both as a case study? What about setting a price for a book on MP3? Ali, This is super! I’ve been needing to do this for some time. I have so much helpful information in my homemaking blog and could probably write many books. 🙂 But the thing my readers love most are my heart to heart chats about family life and spiritual well being. Thanks for the inspiration and the specific direction! I always find Ali’s posts incredibly useful and to-the-point and this one is no different. I think I’ll definitely consider putting together an e-book of my blog content, all updated and illustrated! I am going to remember this line forever “Sometimes “just between you and me” information that would be useful in understanding the point you are trying to make – I use this resource that quite a bit.” Dashes and parenthesis are difficult to master and this is a great rule to be able to break!. SO is that one with the exclamation mark. In the end, grammar comes first though, I want to say that content trumps all, but that is not true, when I see a mistake in grammar, I immediately think about it, and then tune it out. I sort of figure if the person writing it is not smarter than me, then I don’t want what they have to sell. This could work for you though too, depending on the customer and audience. I agree with you, Ozio. I recently polled folks on FB, most of whom said that grammatical mistakes and typos did detract from the “credibility” of the author ITHO. Which is one reason why I tend to shudder when people say they’re going to turn their blog posts into a book. Let’s be honest here, the standard of writing within blogs (an issue raised in a recent Copyblogger post) tends to leave a lot to be desired, especially when it’s fast “stream-of-consciousness” writing. And blogs and books are different animals, surely? Most often there is not the same disciplined organization in a series of blog posts that there needs to be in a good book. For me, it’s not a question of considering whether a writer is smarter than I am or not. It’s more a case of “well, they just cobbled this ‘book’ together from their blog posts” which seems like a lazy person’s way to write a book. I wonder if Christian “humans are lazy” would agree with that LOL? This is why I’m interested in contacting “blog-into-book” authors to see what process (if any) they used to convert their posts into book-length content. If anyone wants to send me a review copy of theirs and talk about this some more, I’m contactable at http://www.bookdoula.biz. Thanks. I agree that mistakes (whether grammatical, factual or typographical…) tend to distract from the reading experience. It does depend a little bit on subject matter — some audiences are more forgiving than others! I’d certainly recommend getting a friend to proof-read your ebook before you put it out there into the world. (Ideally, ask several friends, or pay a professional editor.) I find that I’m great at spotting other people’s typos, but very bad at noticing my own…! Good information. A lot of people think they don’t have the expertise to write an ebook but as obvious that people have more ability than they think. I am looking into writing an ebook because I want the experience and I have heard it is something that you should do to give to your list. Not being able to see your own mistakes is totally normal :-). I’ve read more than once that one of the reasons is because when we read it ourselves, our brain often will read what we intended to say, rather than what’s actually there. No doubt that any book worth putting out there/worth reading whether print or digital, needs to be edited professionally or as close as you can get..
What a great post! Thanks for this. I’m actually working on 2 ebooks right now… but this post just grants me more confidence. Love the way to turn your blog post into an ebook. Having an ebook will help you in terms of credibility and marketing as well. It will become a leverage tool for you to start market your own product, and also build a team of affiliate army. Wow. I think there might be an e-book in this comment section, alone. I need to learn to read faster. Thanks for all the information- everyone. Brillant post – Last year I wrote my first e-book, but than realized I wanted to distance me from that field of work (for the time being) – Now my interest is back, and in some ways, more so than ever. The only little challenge is I now have to translate it into english – It’s soooo timeconsuming. Geting a big following is No.1 for me – the time to harden up might just be now. Like you said when you started your great post “There are plenty of great reasons to write an ebook” so, I’ve decided to write mine. Just a quick question. What kind of format do you recomend to write the ebook? PDF, DOC, EXE? I produce most of mine as PDFs, because almost everyone can read them (a lot of my audience don’t have Kindles/Nooks/etc). If you want, you could also do a .mobi and .epub version for ereaders, but I’ve found that those are trickier formats to work with if you’re doing anything graphic-heavy. I’ve just published my ebook on kindle and it was certainly a learning experience. I’m pleased with the result. I used Word and then saved it to HTML filtered and then built it using Mobicreator. The hardest part of all, though, is not writing the book. Writers, these days, unless they are extremely lucky, have to sell the book as well. And that’s the problem. You have to use the internet to your advantage. Create your own website and gain a following. I’ve only just started but I am learning everyday. Hopefully one day I will make a living out of it. That’s the dream. I have just started writing again for my blog. I ran into this post and has inspired me to maybe someday create my own e-book. By the way you have an awesome blog here. What program would you recommend writing the ebook in to begin with – before turning it into a PDF? Is Word OK to use (especially if a lot of graphics and images are going to be used)? I’ve used Word without any problems, though my ebooks haven’t required high-definition images. I find that some image quality is lost when converting from Word to PDF so if the graphics and images need to be very sharp, you might want to ask a designer friend for recommendations! Wow- great info the more I read the more I want to start writing.